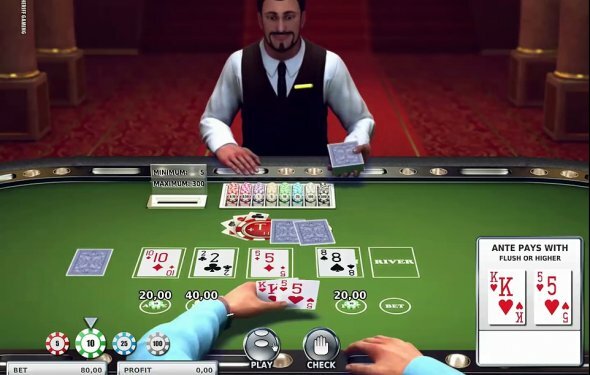 How to win Blackjack in casino? Blackjack can be beaten using a simple Plus Minus count. Casinos have known this for fifty years since Edward O. Thorp wrote a book called Beat the Dealer. But the game is still offered because not enough players take the time to learn how to play blackjack very well. The house edge changes as cards are removed from a deck of cards. Players must play perfect basic strategy and count cards to take advantage of the times they hold the edge by wagering more. To do this, the Plus Minus count is used to keep a running total of the "count". As a player sees cards in action, they assign the following numbers and keep a running count in their head. With a new deck or a new shoe, the count will always start at zero. For example, on the first hand, the cards on the table are a ten, a 5, a 6, an 8, and an ace. You count minus 1 for the ten, back to even with the five, plus 1 with the six, the eight is zero - so ignore it, and back to even with the ace. Your running count is back to zero. As new cards are revealed you continue the count. Any time the count is a minus number or zero, make a bet of one unit. When the count is positive, bet more than one unit. By betting more when you have the edge, and less when you don't, you can actually beat the casino at blackjack! Of course you have to practice the count before you ever play for real money! On the first hand of a single deck you bet one unit and wait. Here is the run of cards: 6, 4, 2 ace, ten, five, four, six, 9, 8. Your count should be: one, two, three, two, one, two, three, four, four, four (ignore the 7, 8, 9 - they are zero). Now the odds are in your favor, bet two or three units. Next hand the new cards seen are: ten, 8, 2, ace, ten, 4, ten, ten, 9, ten, 3. Your count should start with four and go three, three, four, three, four, three, two, two, three. The count is still three so you should bet two or three units again. In a single deck game you will probably get just one more hand. Your work is done and you got to bet more when you had the edge. Whenever the count is negative or even, bet one unit. If you are playing on a shoe game with more than one deck, you will need to convert your running count to a true count before making your next bet. Winning at the Casino: Gambling Strategies to Consistently Win at Las Vegas Casino Games or How to Win at Playing Roulette, Slots, Blackjack, Craps & Baccarat-Win at Playing Online Casino Games, too! How to Win Blackjack Every Time? How to win in Blackjack? How to win at Blackjack in a casino?